Polish music scene has a great quality of people making music out of pure fun and will to please composer's ambition rather than just a showcase adding up to PR of certain picture. It adds a great deal of fresh air among the visage of experimental music which is dominated by names from a few countries and keeps it all very timid. 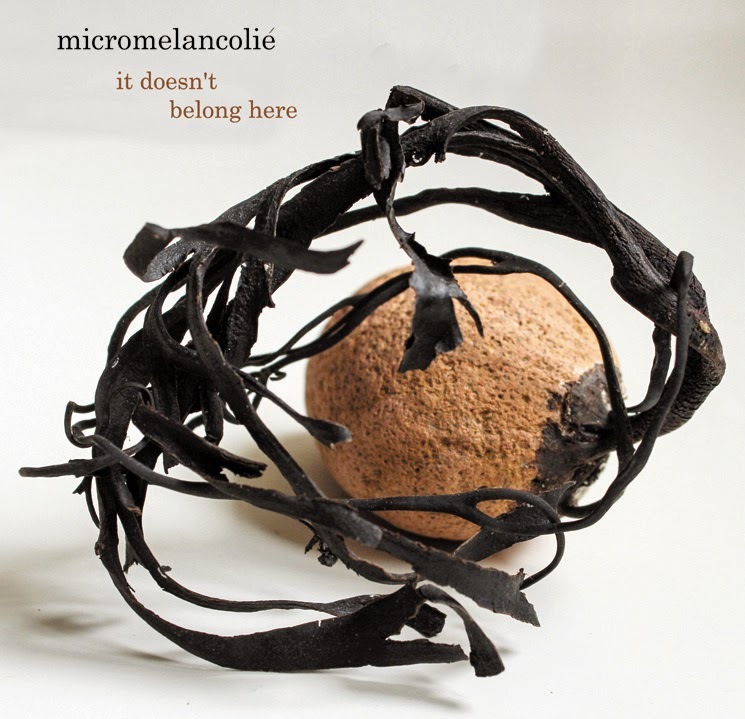 Robert of Micromelancolié has been around for quite a time and since the first time I met him I knew exactly that he is a powerful sidekick to develop and rise soon. With his glitchy rain of sounds he never seemed to fit in a file of any music that I know apart from few bits which appeared to be just a set of traits that made it recognisable in a way. His blend of lo-fi field recorded humms of environmental soundscapes, cassettey fuzz, no input mixing board glitches and sampled, processed sounds create a really subtle and intimate soundtrack for really anything that your mind can bent you on. I guess the truth of this vision is the creative process put into reigns and stead of one wholesome unit which also involves some improv but to extent of keeping everything in one nifty piece. Talking about improvisation we have here a shiny gem of Mia Zabelka, Austrian born violinist who acts up as a sonorous oil to the subtly rusty drones giving an extra asset of drama to Robert's trip. Wovoka "Trees against the sky"